RAIL passengers in Scotland could pay more to travel on some routes and may end up standing for longer during journeys. These are two of the issues being considered by Scottish Government agency Transport Scotland in a consultation on the future of rail services. Both ScotRail's contract for providing rail passenger services and the funding arrangements for Network Rail come to an end in 2014. The Rail2014 consultation also includes the possibility of banning travellers from drinking alcohol on all trains, as well as removing first-class sections from trains where overcrowding is a problem. Transport minister Keith Brown urged people to 'consider the issues which are important to them' and respond to the consultation. 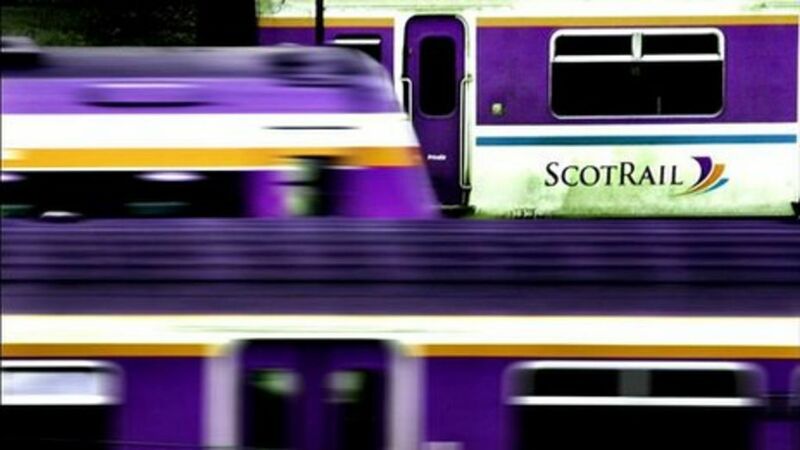 FARE increases, more standing and an alcohol ban are being considered by Scottish Government agency Transport Scotland in a consultation on the future of rail services. Passengers in Scotland could be banned from drinking alcohol on trains, a report into the radical overhaul of rail travel suggests.